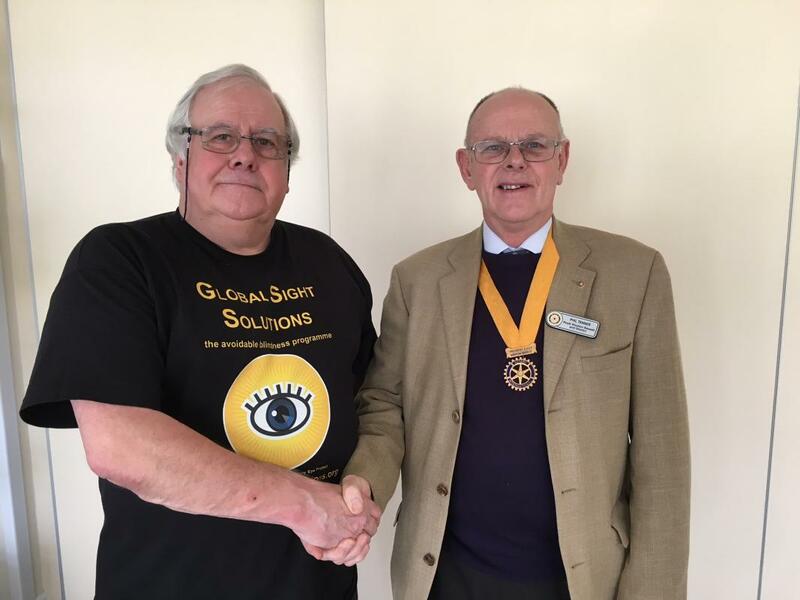 On Wednesday 7th March we had the pleasure of a presentation by John Miles on the RIBI supported Global Sight Solutions project. The project has enabled eye surgery (including cataract operations) to be provided to the poor by building eye hospitals and mobile eye screening camps in India. This gave us an insight into leveraging raised funds by utilising Rotary Foundation funding to support an international project.